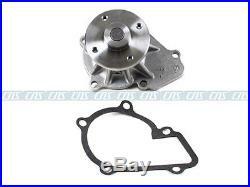 2389cc, L4 SOHC 12V [89mm]. 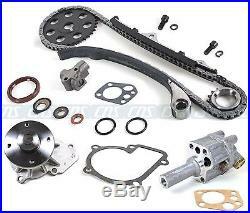 TIMING CHAIN KIT + WATER PUMP + OIL PUMP KA24E. 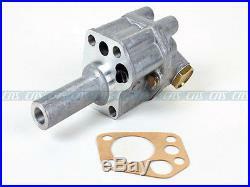 89 - 90 NISSAN 240SX 2.4L SOHC L4 12V, ENG. 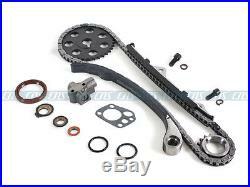 1 Timing Chain (Single Row, 102 Links). 1 Cam Gear (36 Teeth). 1 Crank Gear (18 Teeth). 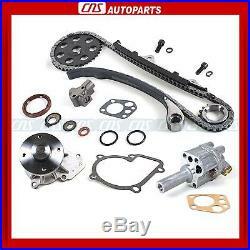 The item "Fits 89-97 2.4L Nissan 240SX D21 Pickup Timing Chain Kit Water & Oil Pump KA24E" is in sale since Tuesday, February 04, 2014. Note: KA24DE DOHC WILL NOT FIT.